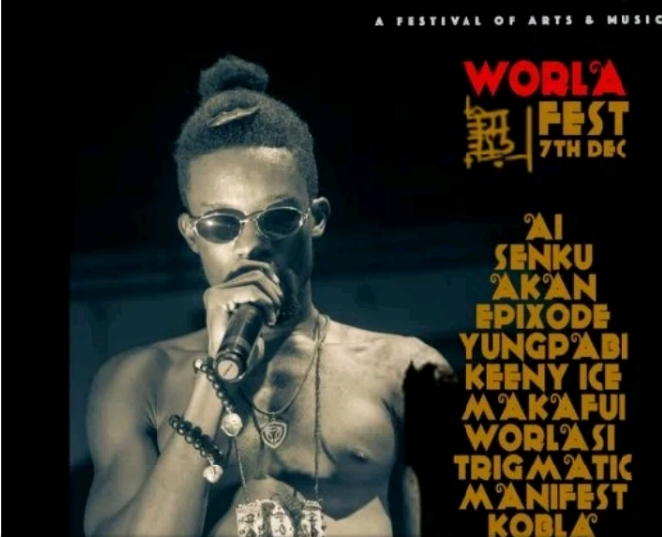 Ghanaian rapper Worlasi will be hosting his annual music and arts festival entitled WorlaFest; a festival of music and arts slated on Friday 7 2018 at the Alliance Française, Accra . Worlasi according to information will be the main headline performer at the festival. The event will also have performances from M.anifest, Trigmatic, Epixode, YungPabi and Akan. 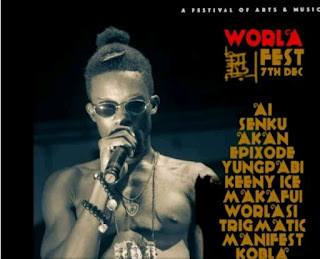 WorlaFest 2018 is an event organized to bring arts and music lovers together from all across Africa to Ghana once a year. The festival also gives way for good vendors, sponsors, and other service providers to book stands to market and sell their products and services to an audience of over 2000 people from across Africa. His songs are famous for their refreshing and inspiring lyrics alongside a cool mixture of soul and hip-hop blended with Africa flavor. 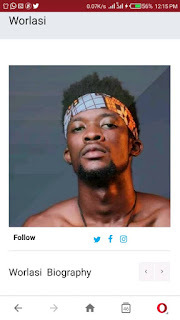 Worlasi made his debut album on Coke Studio Africa 2017 as a big break artist and it paired him with Kenya's Sauti Sol and Nigeria's Chidinma.